Our first bundle of the year is finally here! 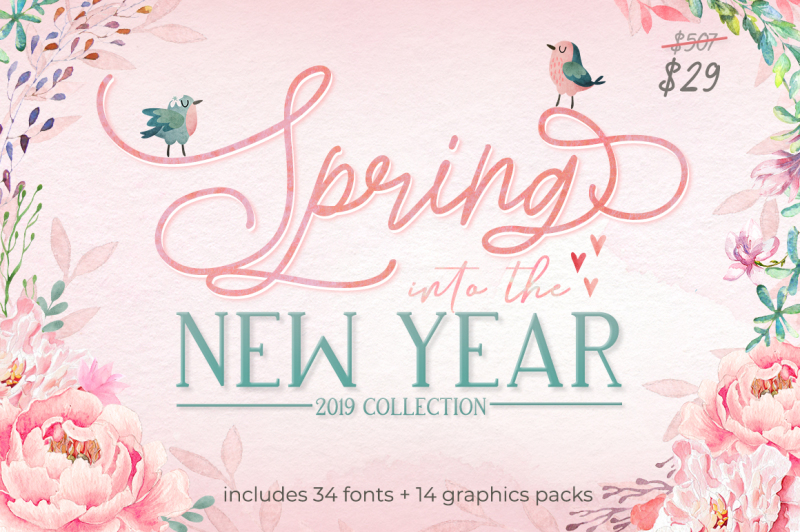 Spring into the New Year 2019 Collection comes with 34 fonts and 14 graphics packs which consist over 1000+ elements. All that for just $29!! That's over 94% OFF the regular price!